Here at Brightcove, we get pretty excited about our product and its features, and it is great to hear the same excitement in a customer’s voice. We love nothing more than when our customers are actively engaged in the Brightcove community via the forums and user groups. Ben McElroy, of McElroy Films, is one of these excited and engaged customers. McElroy Films is a professional high-definition video production company specializing in corporate, educational, non-profit, wedding and independent filmmaking as well as music video production. Like many of our Express customers, Ben was very happy to have the opportunity to use Brightcove at a price that is affordable for small and medium business. Ben had the chance to come down to the Brightcove headquarters in Cambridge, MA and attend our Boston Brightcove User Group. “We had the opportunity to meet with many distinguished guests and others in the video production community. It was great to hear from some of Brightcove’s staff and see what exciting and new features they have coming out,” Ben says. He had a great time hearing about our HTML5 initiative as well as other upcoming releases. 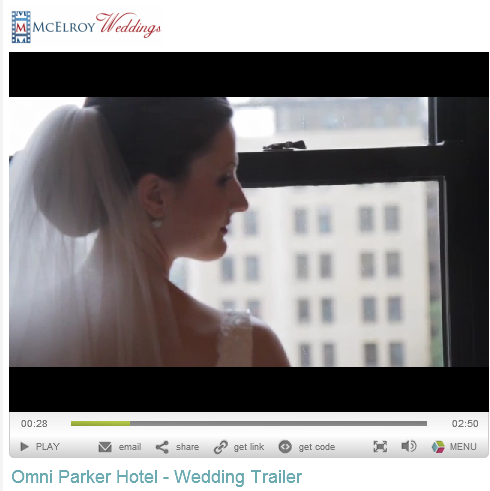 Along with sharing, McElroy values the multiple renditions that are automatically created when a video is uploaded. Because of the high quality content McElroy produces, it is vital that their H.264 rendition is preserved as a source. This way, someone with a great connection will be able to watch the video in all of its HD glory and those with slower connections will be served a lesser quality video so they can watch it without pausing and buffering. Another big draw was the Analytics module. This has been a great tool to report back to their clients. 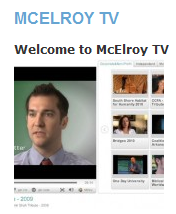 McElroy’s previous video platform had primitive beta versions of analytics, which was not nearly as helpful. I encourage you to check out McElroy’s site, McElroyFilms.com. They have some great high quality content, my personal favorite being the McElroy Weddings portfolio because I am a softy! They also have an awesome blog with some great stories about their work and some video tips and services. Also, if you haven’t registered for our forums, or attended a user group in your area, there is no better time than the present! We have a new forum called “Show us Your Brightcove” which is a great way to show off the amazing work you have done with our platform. It is also a great way to get tips and suggestions from some Brightcove employees and other Brightcove users.